After the drop of Childish Gambino‘s “This is America,” Twitter went to town on interpreting it’s many meanings, from the subliminal to the obvious. It’s become a habit now for Donald Glover to bring societal issues to the forefront of the mind through his music. 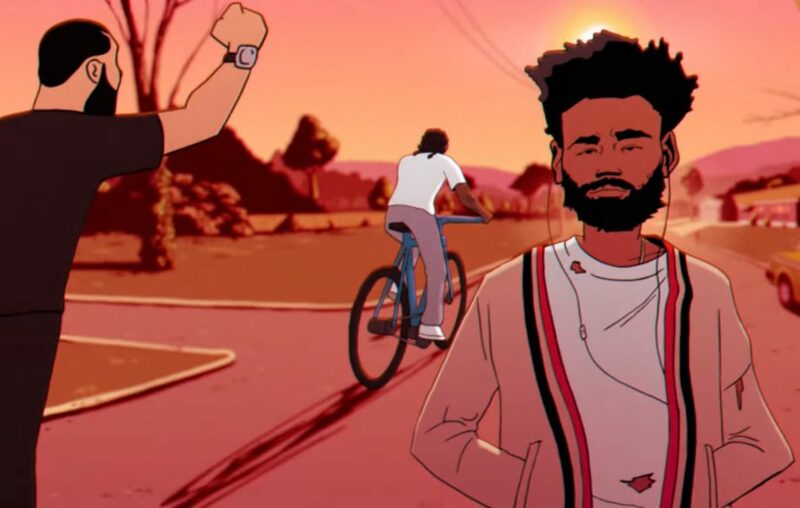 So when he dropped the animated visuals for “Feels Like Summer” over the Labor Day Weekend, we just knew the Twittersphere would take note of every single little detail and their meaning. And the sometimes wonderful, sometimes ugly people of Twitter didn’t disappoint. But we know that there’s more to it than that. Scenes featuring Kanye West’s MAGA hat, Nicki Minaj playing with Travis Scott, as well as solemn depictions of Kid Cudi and Chris Brown have fast become talking points. Crazy how Feels Like Summer by Childish Gambino sounds so chill you’ll disregard what he says.. he’s out here telling us bees are dying, birds are dying, global warming is getting worse and water is running out. He’s just so good at getting his messages out in catchy songs. I was reading tweets about Childish Gambino’s newest video, specifically the Kanye/Michelle Obama moment. I just thought Michelle was giving Kanye a hug because he struggles with depression and general public opinion, and probably low self esteem. In related news, adidas have revealed that there is a collaboration with Childish Gambino in the works!